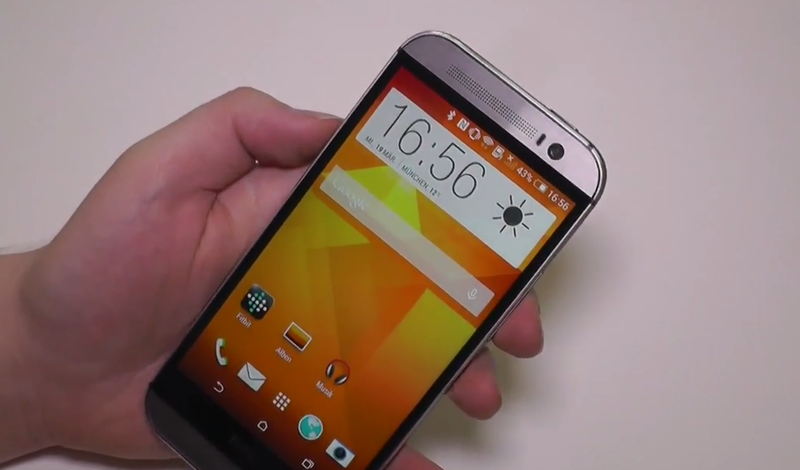 The “All New HTC One” officially arrives tomorrow, but HTC clearly handed out devices early to select press who can’t calculate time properly and decided to post their initial reviews early. Thanks to German site Notebook Info, we get a full 14-minute clip of the new One, with tours of its hardware, Sense 6.0, off-screen gestures, and of course, that camera. Oh, and before you shrug this one off like that painfully long leak from the 6-year old kid, know that is a well-made video from an actual tech site. This is the video to watch. Well, it’s the video to watch until you get to see us with the phone. So what’s new in this video that we haven’t seen in others? First, we get to see a tour of the hardware in clear imagery, followed by a look at how those nifty little off-screen gestures will work. We then get a look at Sense 6.0, plus an in-depth look at the camera, which can take pictures that can be refocused and also in a semi-3D panning mode. We also get a glimpse at HTC’s new “Extreme” power saver mode, that turns your phone into a basic phone of sorts, in order to sip those last ounces of juice. According to this review, we the camera setup on the back is a 4MP (UltraPixel) camera, paired with a 2MP secondary camera that records depth info for those re-focus and 3D-like moments. Other specs include a 2,600mAh battery, Snapdragon 801, 2GB RAM, 32GB storage, microSD slot, 5-inch 1080 display, and Kit Kat. Who is ready for tomorrow, especially if you can order the phone?